"Nation ally, approximately 60% of all shelter residents return to their abusers". That's a high statistic, yet as I spoke to some strangers I met the other day about domestic abuse and/or violence, it shocked me to hear them ask questions like, "What would make them stay in a situation like that?" "Women should have more sense than to put up with being beaten". 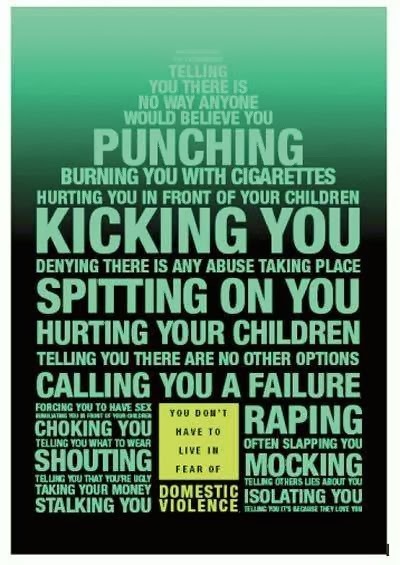 Sadly, it's almost 2014, and so many people still don't understand the vicious cycle of abuse. Many are afraid, embarrassed, or feel as if what they're going through is deserved. Some have no financial means to just pack up and leave. Many have such low self-esteem caused by the abuser, that they simply feel as if they can't do any better. Some women who are being emotionally beaten don't even recognize that they are also being abused., and deal with the name calling, character attacks, degradation and emotional bullying. If someone you know is being emotionally or physically abused, please offer help, rather then judgement. This opens the door, so the person feels some level of comfort, and can take steps to move on. 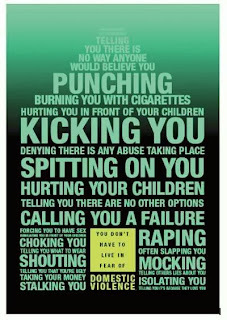 If you are being abused, call your local domestic violence organization, which will have tons of resources. Please remember: A kind word of support may even save someone's life.